Chloe Chin has been dancing since the tender age of 8. 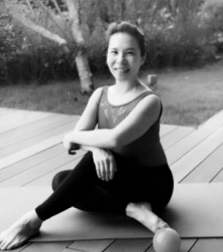 She has been a teaching for the past 16 years in different places, her first teaching experience in the Palais Dance Studio in Singapore. Since then she has taught in Kuala Lumpur as well as London with Ms Susan Zalcman in Covent Garden. In the year 2010, Chloe had returned to Kuala Lumpur, completing her RAD Ballet up to Advance 2. Pilates is also her second passion, knowing that it would help dancers to understand and strengthen their muscle in Ballet. She went on to further study Pilates and is now a certified Polestar Pilates Instructor.